150 years ago, much of Texas was just desolate prairie country. Then one day out of this barren landscape, Dallas was born. Big business, big ambition, big city. But did it all begin here in a little wooden building? 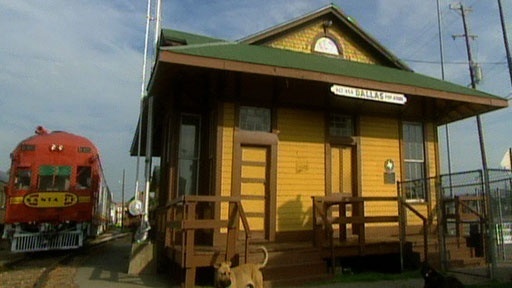 A local historian calls in the History Detectives to find out if a disused depot was the first railroad station in Texas and if it was responsible for putting Dallas on the map. Also with Gwen Wright Leopold Medal What does this medal reveal about a top-secret American Military project during WWII? Also with Gwen Wright Japanese House How did a Japanese house come to be at the San Francisco World's Fair just months before WWII began?